Posted 11/17/2008 6:47am by Renee Savary. Posted 11/11/2008 6:40am by Renee Savary. Posted 11/8/2008 12:06pm by Renee Savary. The Girls are doing great, the first flock is already 12 weeks old ... and no pressure here but every day I remind them that eggs production is around the corner !!!! The colors of the pictures are really off but they were either in the shade or running away !!! .... They totally not collaborated for this shooting session !!!! Relaxing under the mandarines !!! No pictures of the Leghorn Light Brown, they are so shy that it is impossible to get pictures. They are also very aggressive with each other and I am not sure I will keep on getting them. I will see how the eggs production goes. Posted 11/8/2008 10:10am by Renee Savary. Growing up, in Switzerland, mandarines were not a common fruit and I will always remember that we, kids, usually got the first ones of the season in our gooddies bag for "La Saint Nicolas" which is on December 6. In the bag besides the mandarines we would have peanuts and walnuts and of course "Biscome" another typically swiss gooddies. Who would have thought that some 40ize years later I would grow mines living in the middle of peanuts country !!!! Posted 10/19/2008 11:47am by Renee Savary. Posted 10/19/2008 11:35am by Renee Savary. Posted 9/28/2008 9:50am by Renee Savary. I took those pictures a few days ago when they were just 10 days old. It took the previous flock a good two weeks to do the same thing .... !!!! Posted 9/21/2008 6:14pm by Renee Savary. Let me tell you something : pastured chickens are happy chickens !!!! Posted 9/17/2008 8:46am by Renee Savary. This morning at 6:45am the post office called me, my baby chicks had arrived !! They are all bundled against each other to keep warm. The first 2 days I put the feed and the water in little plates that I find easier for them to access than the feeders, that also mean serious poopingscouping .. lol .. They are smaller than the ones I got but have a reputation of good layers (no pressure) and they produce white eggs. Posted 9/12/2008 7:15am by Renee Savary. After many months of hard work, I am very pleased to announce that our e-commerce is open for business. We offer a line of 100% natural preserves that will change with the seasons. Our preserves are made with whole fruit and organic sugar. We are raising pastured chickens. 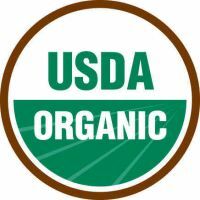 Our chickens eat a certified organic feed without soy protein and any type of medications. We should have eggs available by December. Goats are coming next year. Visit us often, we are working hard to bring you natural and healthy products and we will update our site often.